Chimichurri is a South American marinade that is very popular is Argentina, Uruguay and Chile. 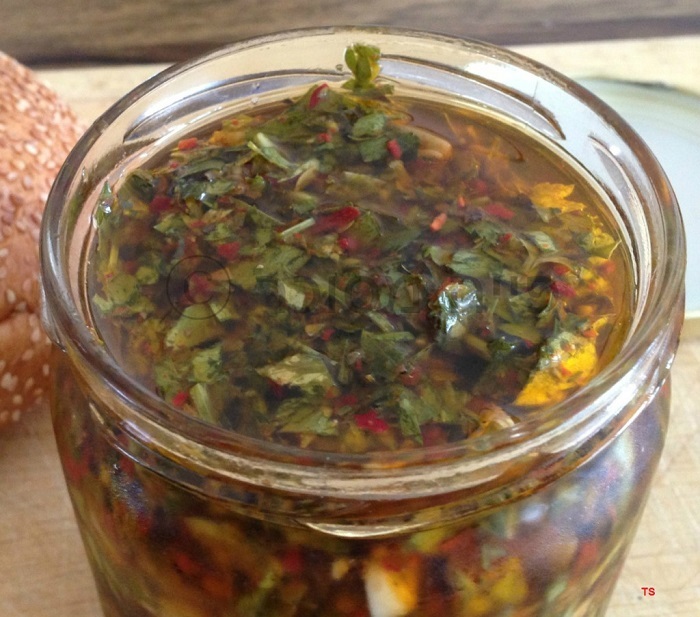 The Chimichurri is used as dressing to the food or as marinade for meat, poultry and fish. The Chimichurri is made of a base of vinegar and oil with diced herbs (fresh or dried) and spices. It is usually spicy (even though the sensitive ones can prepare less-spicy versions). In the history, the Chimichurri was based on salt that was later on replaced with vinegar. Here are a few examples of herbs used in making the Chimichurri: Thyme, oregano, chili powder, pepper, garlic, onion, bay leaf, black pepper, mustard powder, parsley, chives, etc. The Chimichurri can be stored in a cool place/refrigerator for two week and even longer. Below is a photo of the second recipe. 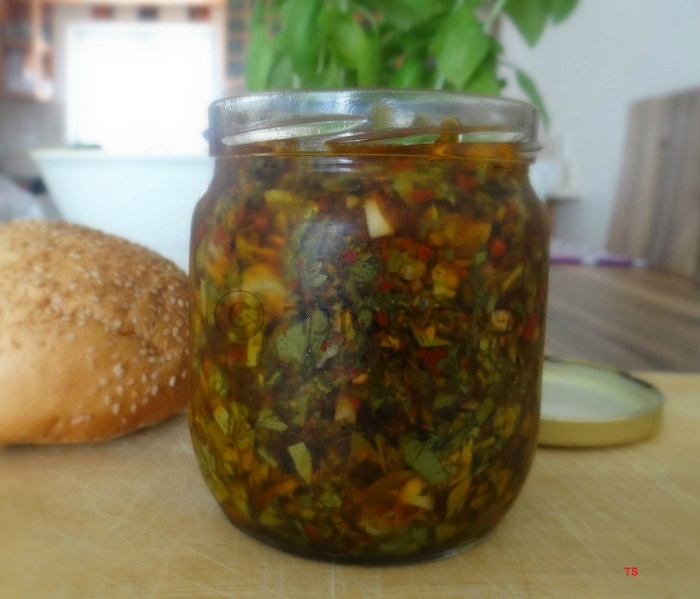 It is perfect for a sandwich or toast (try to prepare a cheese toast – spread it on the bread before toasting! ), great with steak, poultry or fish, I made Salmon with it!